cedarcode is a new software company founded by very experienced people, with a strong background on Ruby on Rails, Agile practices, and project management. 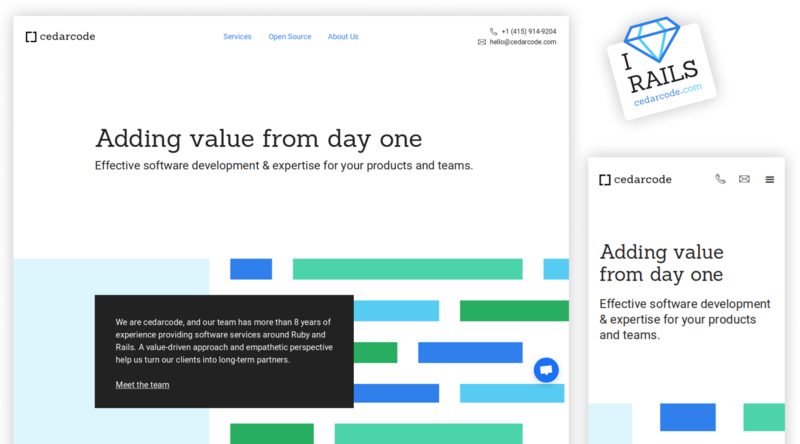 They are a great team who seriously care about processes, for that reason I really enjoyed the opportunity to work side by side with them to craft from scratch this branding, website, and related resources. First of all, I proposed some simple exercises like personality chart, just to help us to think and define the brand personality, all the team from cedarcode immediately joined the discussion, I must add that they are a very organized team, always available to talk and put themselves on the same page quickly. After we defined how the brand thinks and feel, I started a shared mood-board where paste inspiring images, just to run the aesthetics discussions and find the best way to communicate the spirit of the brand. I enjoyed this phase a lot because we took our time to explore and discuss many concepts and ideas just to be sure we already considered enough options and variants, playing a lot with all of them, keeping us focused on brand goals. After all the exploration we converged in one of the variants, and finally, we were able to refine the first stable version of the logo, matching all in a proportional grid to guarantee the harmony, also we made some tweaks on the selected font. 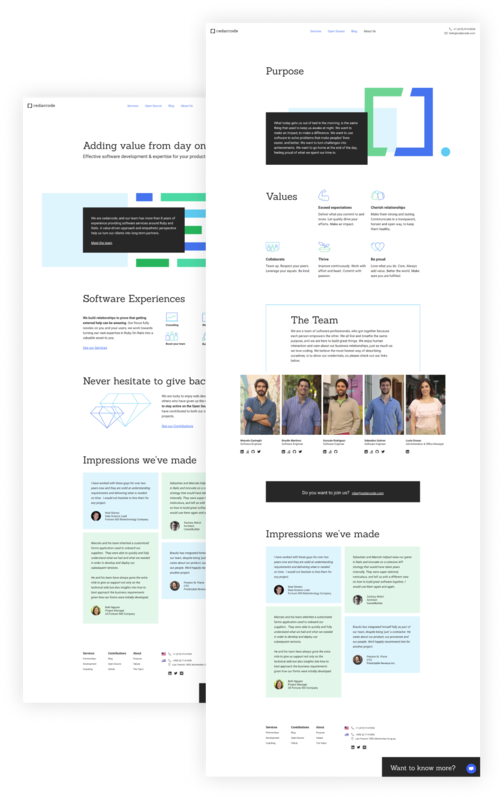 For institutional websites, I always recommend a content-first approach, this time I have taken advantage of the fact that the members have a strong technical focus to invite them to collaborate in the same design file I created on Figma with simple website wireframes. So they could write content there and work together on the first version of the information architecture. 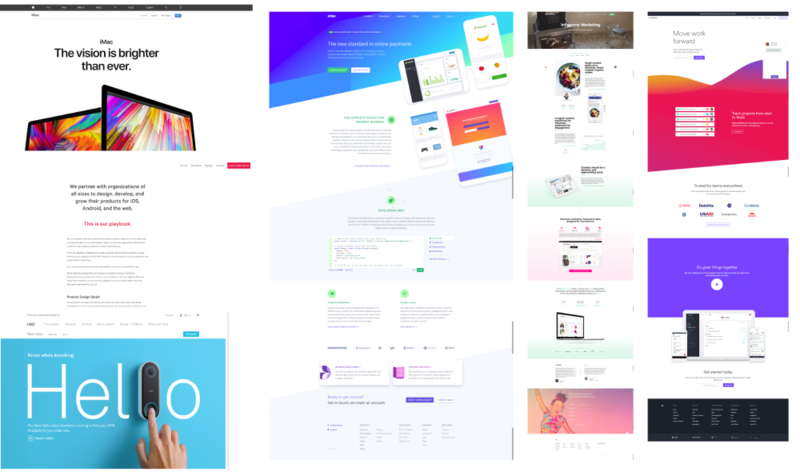 Well, we already crafted a stable branding and wireframes for the website structure, we needed to find the look and feel and style of communication who cecarcode's team needs to represent themselves online, I usually solve this issue with another shared mood-board where paste and discuss inspiring designs samples, from other companies. This phase was a conclusion of the previous processes because I designed organically based on all the rationale, constraints and goals already defined, we've reused the Figma file to continue the process over the wireframes until converting them into hi-fi mockups, the cedarcode's team actively participated in this phase with our weekly check-in meeting and asynchronously leaving comments directly in the design file and clickable prototype. I like to be involved in the implementation phase, and sometimes I have the opportunity to implement my own design. In this case, cedarcode's team was anxious to launch their website and start getting some new clients, in those days they were a little busy prepeaing themselves for a Rails Conf, so I suggested to implement the website using Webflow, because I have some experience with this tool to craft fully responsive websites. 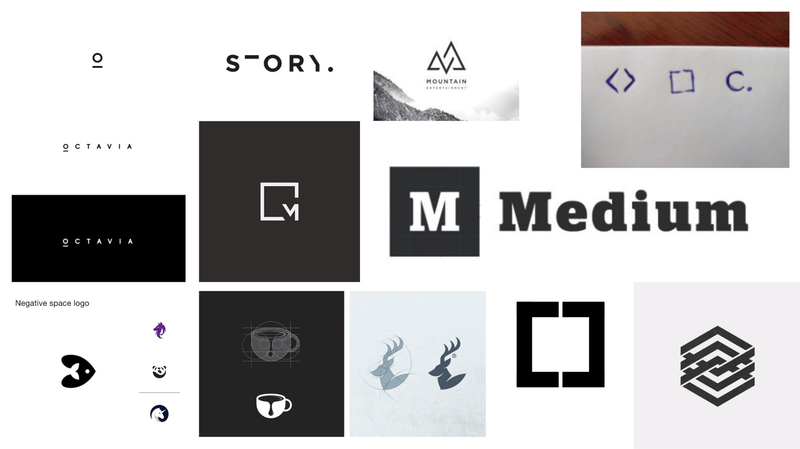 Of Course, a new company needs more branding resources than a simple website, for that reason we carefully crafted requires assets for online platforms like GitHub and social networks like Medium, just playing with all the objects already generated in the previous phases to keep consistency easily. Finally, we prepare some basic printing resources, like the minimalistic but memorable business card, also we designed some brand stickers and specific stickers to give in the Rails Conf, and as you know there is no great software company without brand t-shirts.